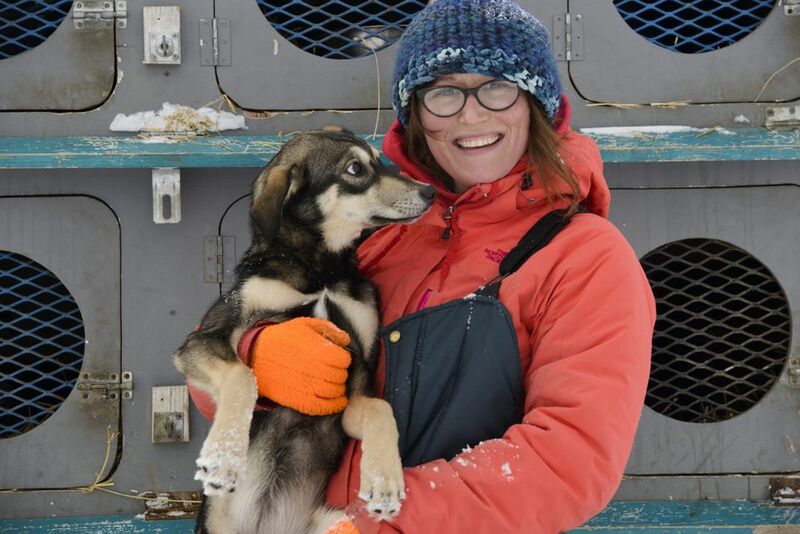 Two days before the start of the biggest race in her young sprint mushing career, Emilie Entrikin prepped for the Anchorage Fur Rendezvous World Championship Sled Dog Races with a short practice run in Anchorage and said she's nervous and excited. But she can't say she always feels that way about her Alaska mushing lifestyle. Sometimes at the end of a workday, when she reaches the driveway of her 14-by-20-foot, off-the-grid, dry cabin home, 20 miles north of Fairbanks, she wonders what she got herself into. She has to haul water, start the generator, build a fire and care for 26 dogs. "I always pull up and be like, 'Oh my god, like, this is mine. When did I get so damn responsible?' " she said with a laugh. It didn't happen by accident. Entrikin spent some time working at a kennel in Minnesota, where she grew up, before moving to Alaska in 2009. She started skijoring about seven years ago, then switched to sleds a few years later, drawn to the intensity of sprint racing. "When you're moving that fast, things can get out of control instantly, and when you have that many dogs raging to go with a sled that weighs, like, nothing? Your brain has to be always anticipating," she said. 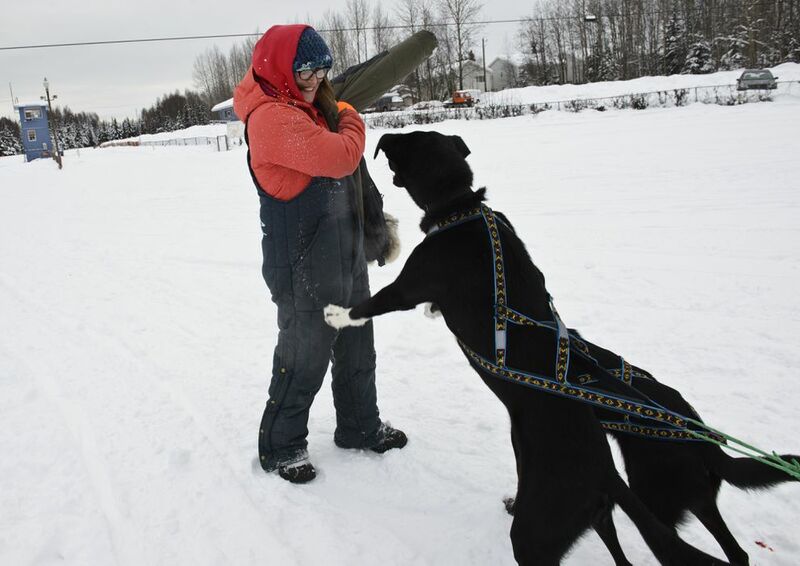 Entrikin, 32, started her Rooster Tail kennel with a former partner, but it's now a one-woman operation, with occasional help from friends and advice from veteran mushers, but no handlers. She patches a living together by substitute teaching, waiting tables and guiding outdoor adventures to feed her mushing passion. "My team is basically two litters of puppies, and this is the first year that I don't have any yearlings in my team," she said. In January 2016, she loaded her dogs in the truck and set out for a solo road trip that lasted three months. She took part in the Pedigree Stage Stop Race in Wyoming and the sprint racing circuit in western Canada. It exposed her team to a variety of situations, from mass starts to crowds of people. "That trip really helped me and the team out to be a lot better competitors," she said. Back in Alaska this year, she is seeing some success. 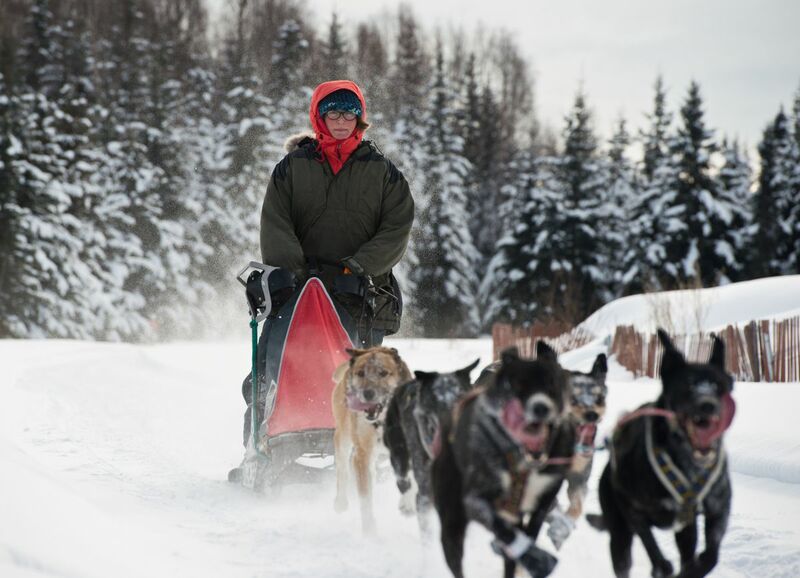 Earlier this month, Entrikin won the open class of the Alaskan Sled Dog & Racing Association Championships at Tozier Track, an experience she described as rewarding, surprising and unexpected. But it's not the Rondy. "This is a whole different race," she said, with a long emphasis on the world "whole." Indeed, this year's Rondy championship, which begins at noon Friday on Fourth Avenue, features three former champions — six-time winner Buddy Streeper, three-time champion Roxy Wright and 2012 champion Ken Chezik. Entrikin makes no claim to be on their level yet, but said a top-10 finish this weekend would be meaningful, calling Fur Rondy the sport's biggest and most recognized race. "It really hit home for me when I was traveling around Canada and the Lower 48, because people always talked about the Fur Rendezvous," she said. And some prize money wouldn't hurt. All of her money goes back into her mushing lifestyle, she said. Truth be told, she wonders how long it's sustainable. "It's so much work. I question it all the time," she said. "Like, why do I have to make my life so complicated and hard by having these dogs." On the other hand, the Fur Rendezvous world championship is about to begin, and Entrikin is in it. That's the dream of many in the sport, she said. She's even recruited a handler to help her out. "Pretty stoked about some help. Looking forward to that," she said. Just before pulling the snow hook and silently breezing down the trail on Wednesday, she explained she wouldn't have it any other way. "I love my life," she said. "I am so, so lucky that like I have a little warm cabin and I'm doing what I love."